Hanover is an important centre in Northern Germany, famous for trade fairs, the world's largest shooting or marksman's festival (Schutzenfest), and the second biggest beer festival in the world. The city also boats the largest fairground to be found and one of the biggest zoos in the world. There's definitely plenty to see and do in Hanover, and the city is also a major crossroads for rail and road links to all parts of Germany and Europe. 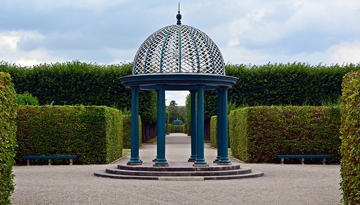 The Royal Gardens of Herrenhausen is a magnet for visitors and has many pavilions, a garden theatre and numerous other attractions, including the famous Orchid House, with a huge collection of orchids and free-flying butterflies and birds. The charming Old Town has fascinating lanes to explore and no visit is complete without taking in the impressive New Town Hall and its spectacular viewing deck for panoramic views of this historic city. Hanover has over forty parks and gardens and is easy to find your way round – simply follow the 3 mile long red line painted on the pavement, which connects the city's famous sights! 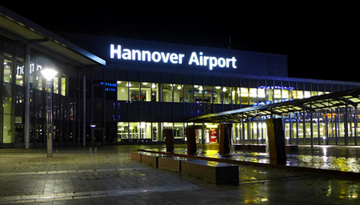 Air France offers a low cost flights to Hannover from London - price starts from only £81 as One Way. 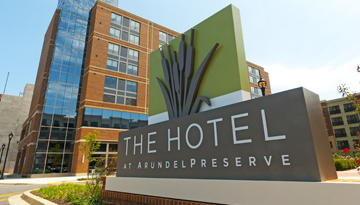 Just stay 3 consecutive nights at The Hotel at Arundel Preserve and save up to 15% - all days. Fly from London - Hannover & Stay for 7 nights with 4 star accommodation. Room Only.